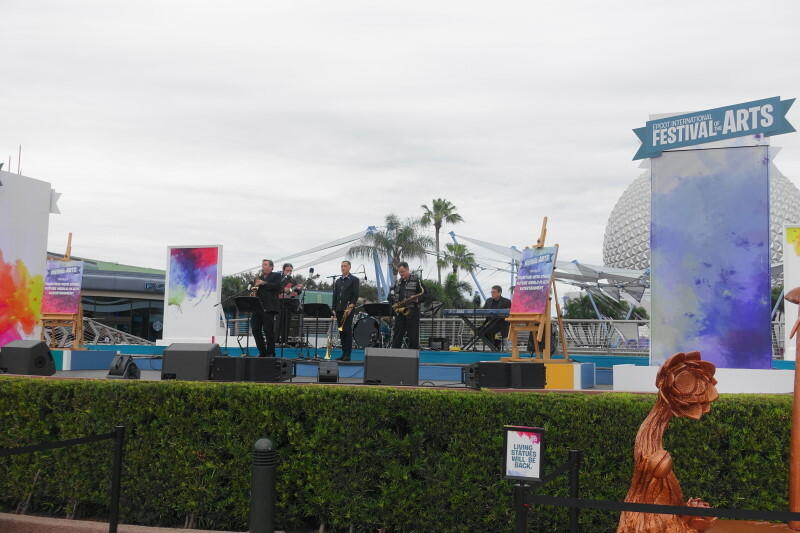 Epcot’s International Festival of the Arts arrived in 2017 and has expanded the days of the week it is available in the two years it has returned since then, with the 2019 Festival of the Arts now featuring a full seven day program–including the Broadway singers. 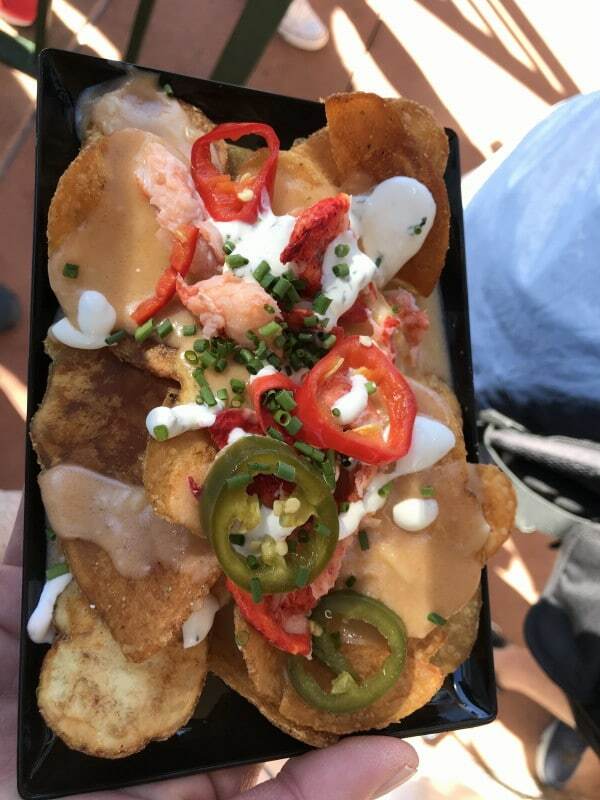 That’s a stretch, but with better food than past Food and Wine festivals, and better visual appeal than past Flower and Garden festivals, it is, by far, my favorite among all the Epcot festivals, and I highly recommend it for returning visitors. 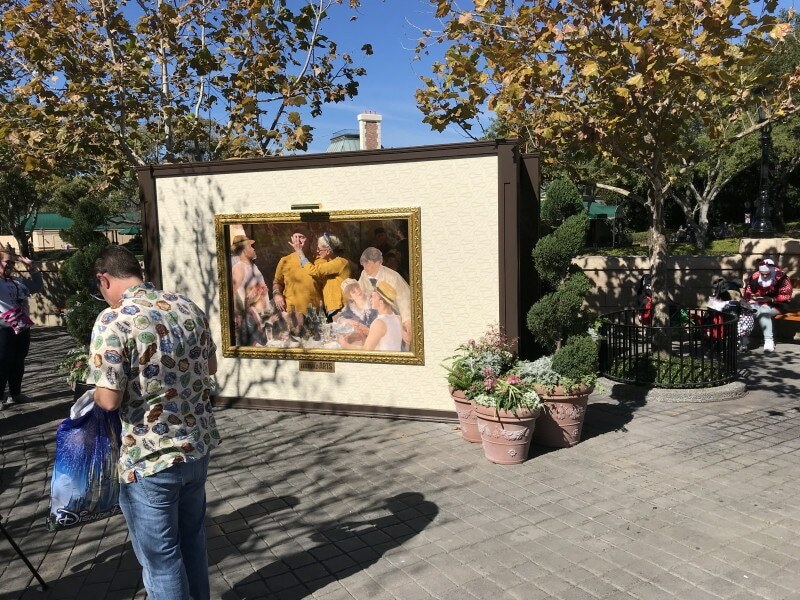 First-timers will enjoy it as well, but will find that it adds crowds to Epcot’s World Showcase, especially on weekends and evenings. 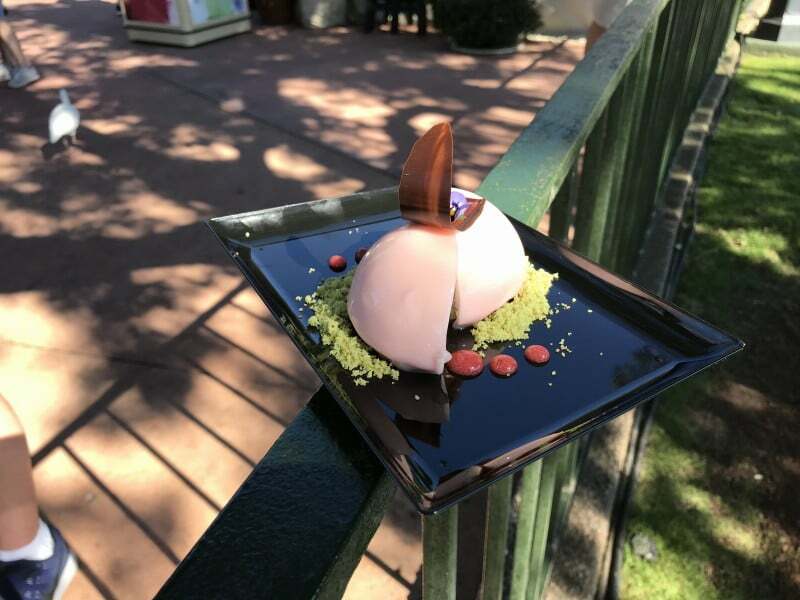 Dining opportunities are particularly concentrated at the entrance to the World Showcase, but are also found in the Odyssey Festival Showplace (between Test Track and Mexico—the Showplace is the centerpiece of the Festival) and scattered through the rest of World Showcase. 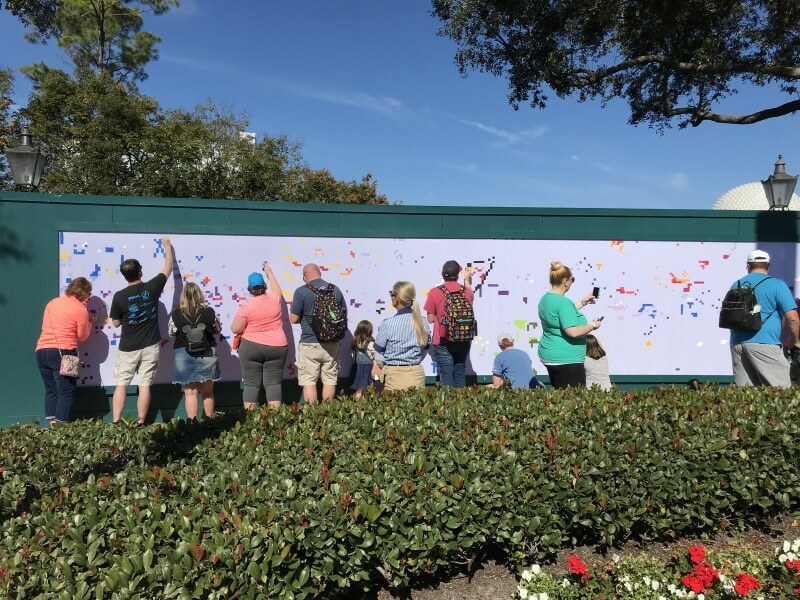 In 2019 you’ll even find them in Future World–for example, “Taste Track” near Test Track. 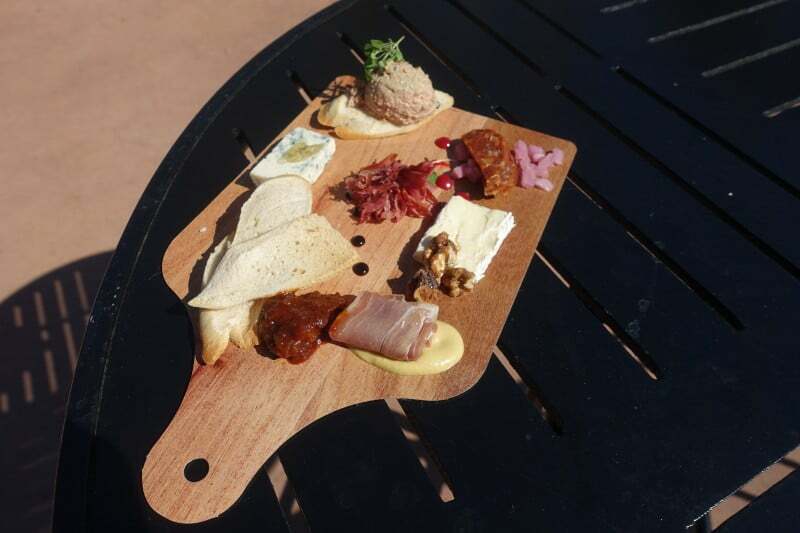 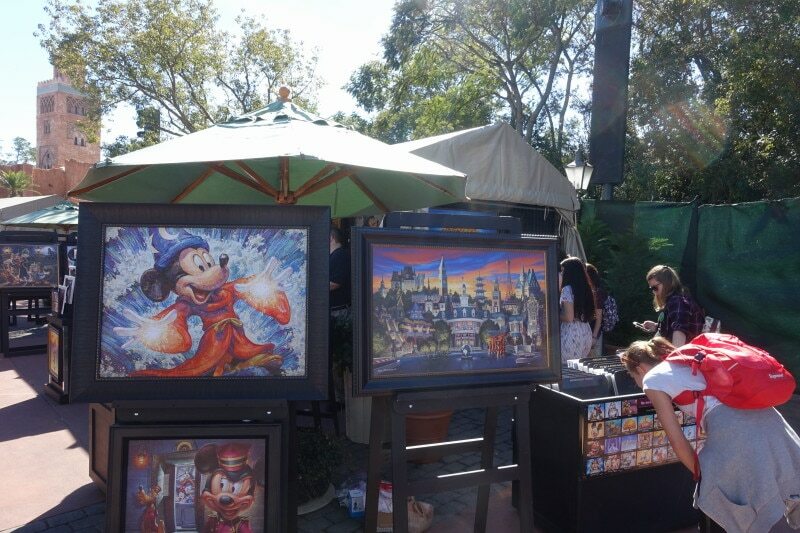 The Festival of the Arts offers the best dining of any Epcot Festival. 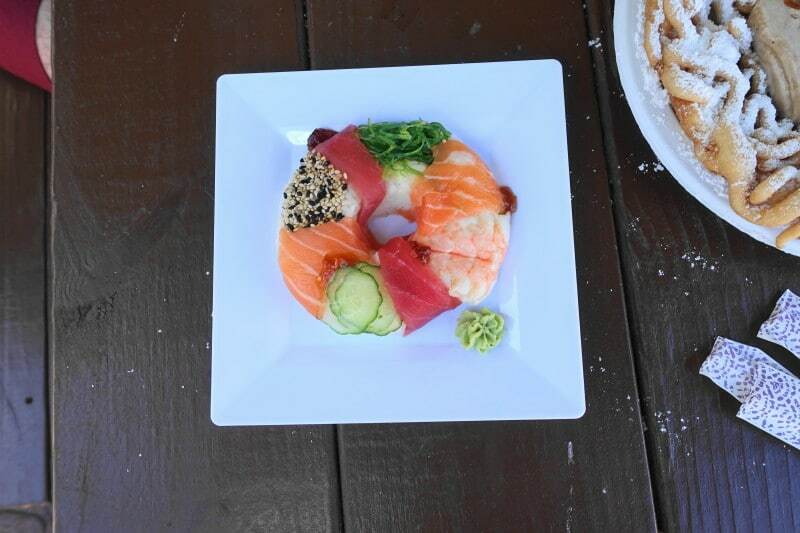 Waits can be longer than at other festivals as much food is prepared while you wait, and prices are also high. 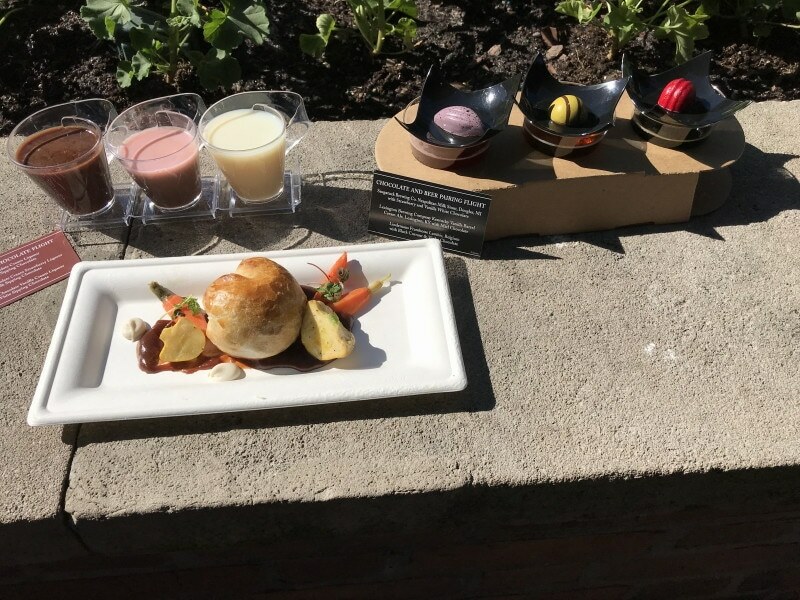 The value for money is also commonly high (by Disney World standards…), and with many $7+ items available for a snack credit, the festival provides the single best argument in years for you to buy the Disney Dining Plan. 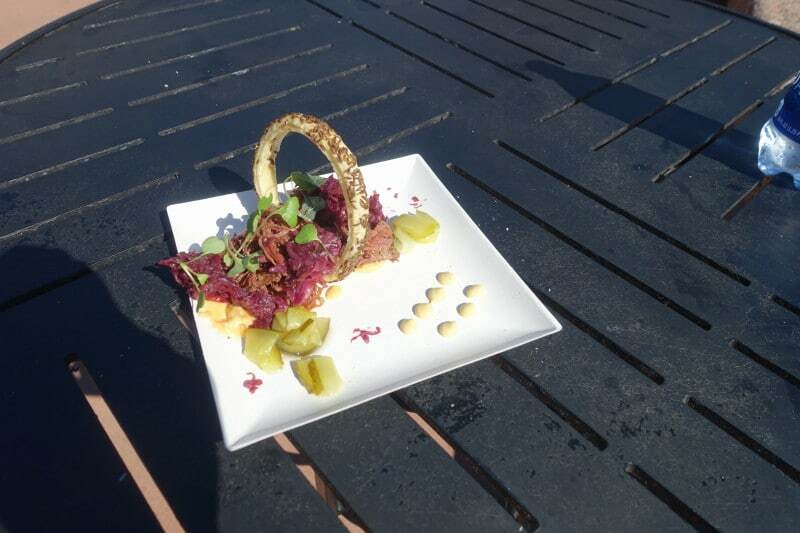 …and the deconstructed Reuben from Deconstructed Dish. 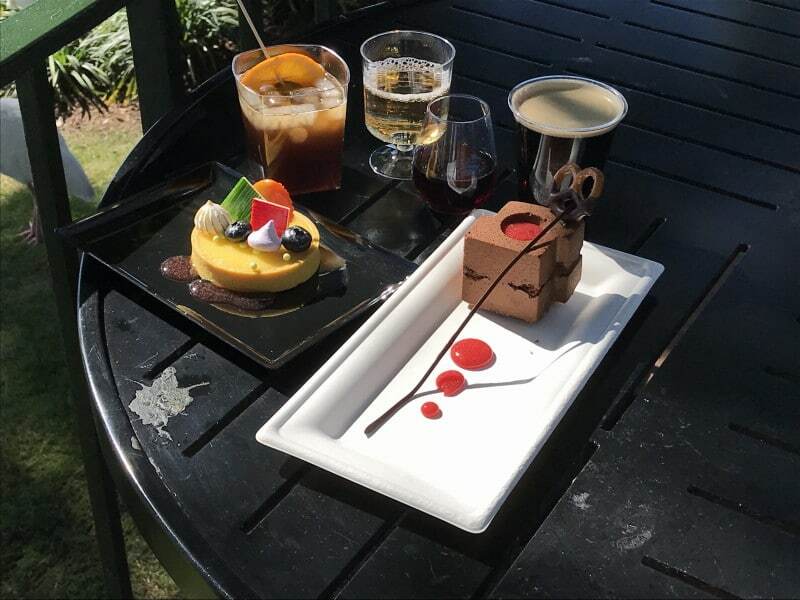 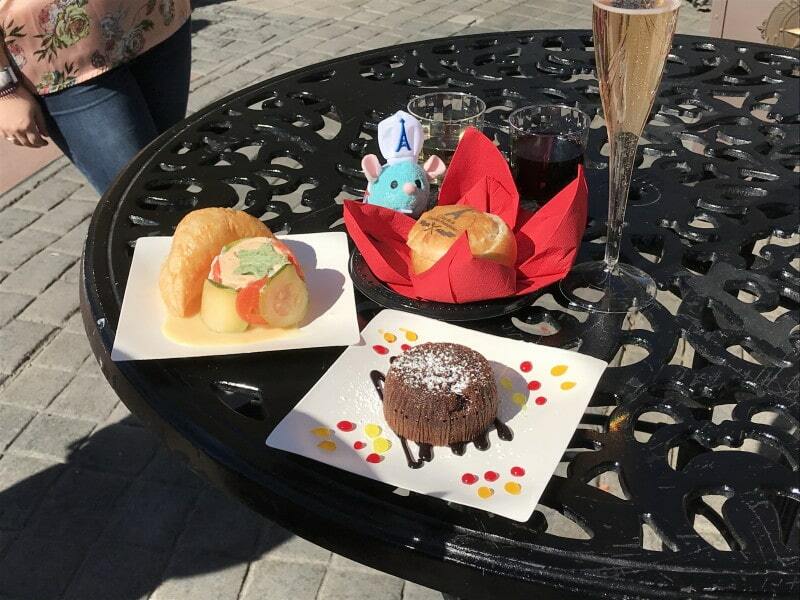 This year I focused more on food, and joined some of my imaginary internet friends on a walk around half of World Showcase, where collectively we bought, photographed, and tasted everything that was new this year (they continued, but I was too sunburned to go on…). 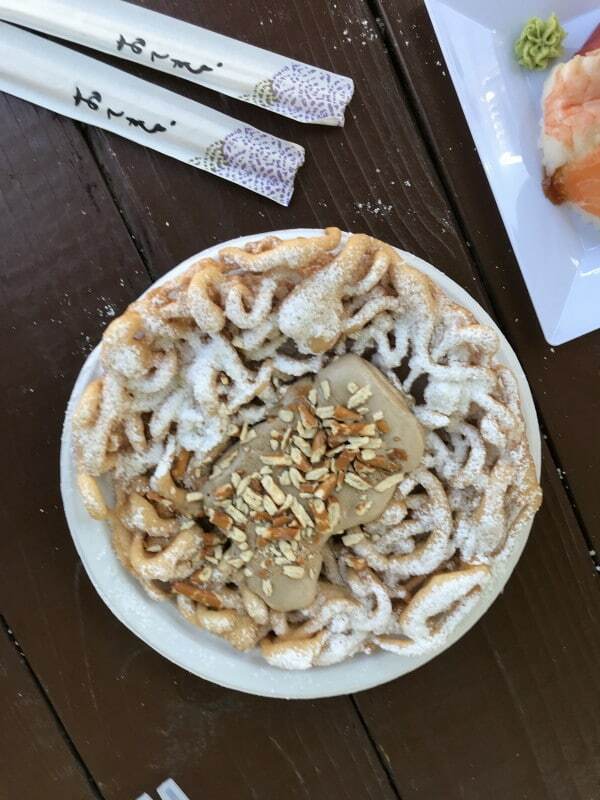 All were terrific on one dimension or another, with differences more about your individual tastes (I am more of a beer and funnel cake guy than a sushi guy). 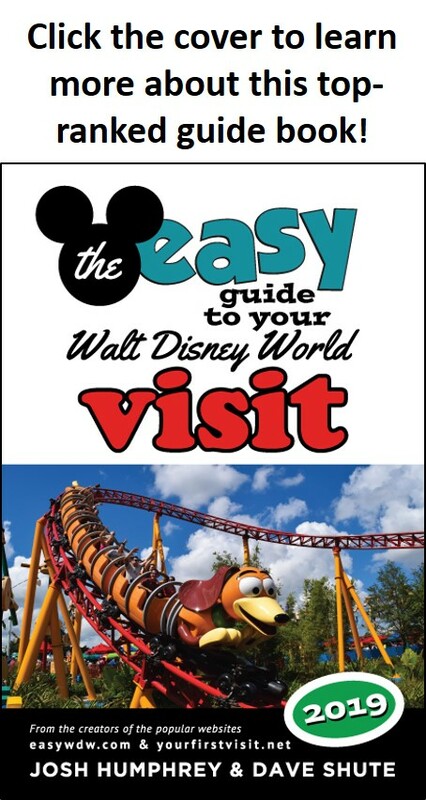 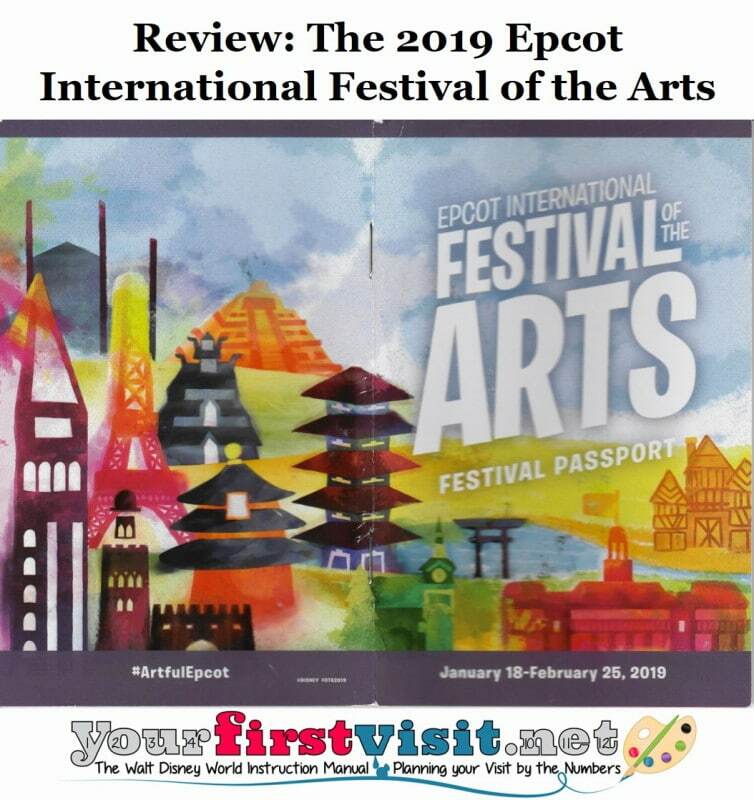 Detailed reviews and more specific recommendations of the best dining of the Festival of the Arts are on co-author Josh’s site easyWDW.com. 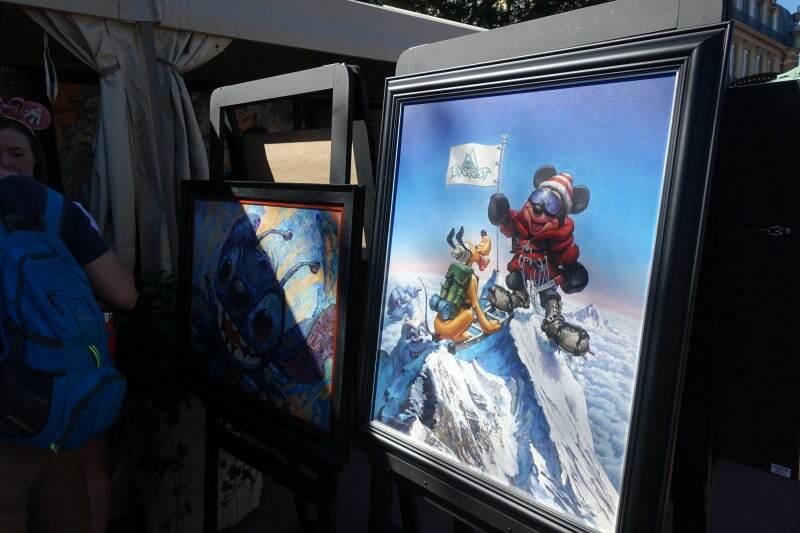 Art, fittingly, is everywhere at the Festival of the Arts. 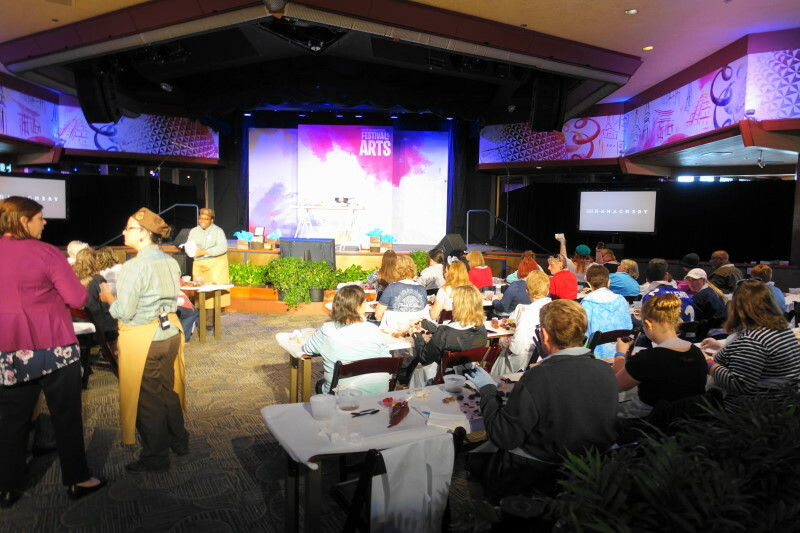 Seminars–some at an extra price–are in the lead building of the Festival, the Odyssey Festival Showplace. 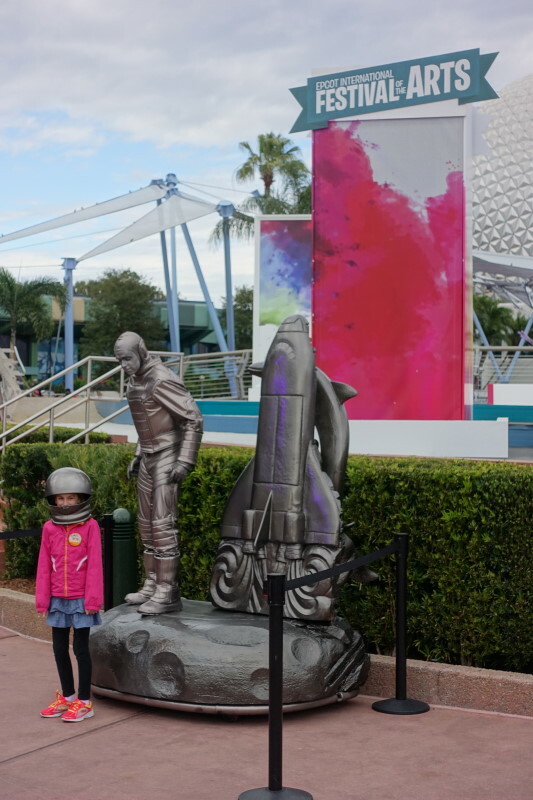 There’s lots of opportunities for simple play. 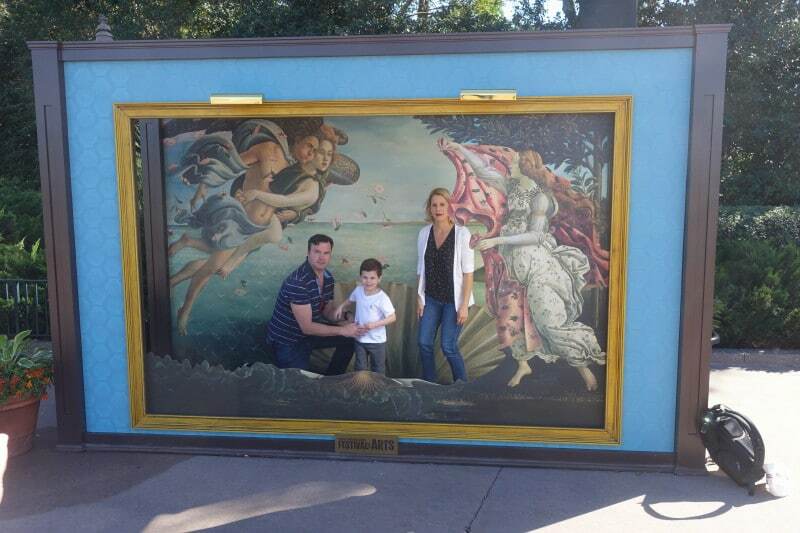 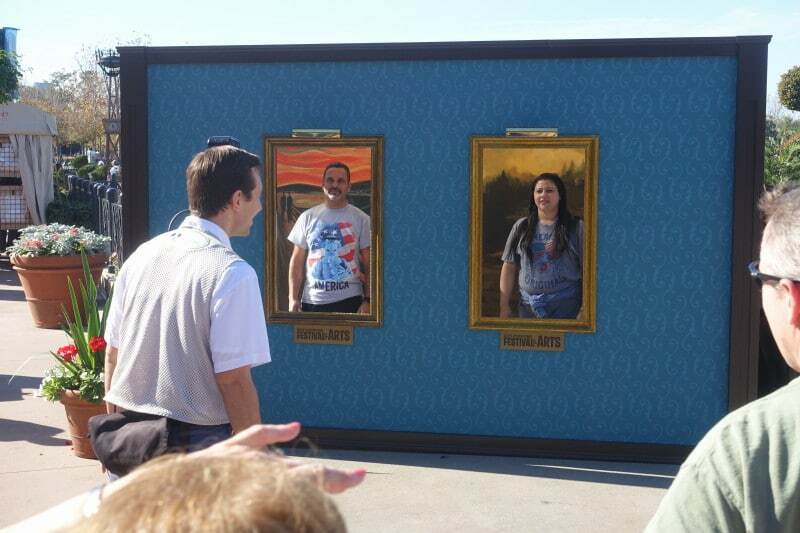 …and scattered through World Showcase are opportunities for you to join famous works. 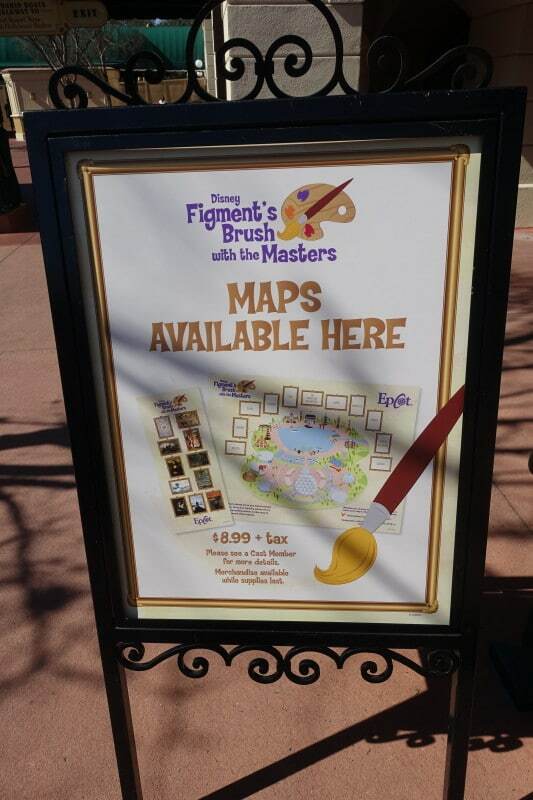 There’s also some Figment thingy that I paid no attention to, but is a bit of a variant on the Kidcot concept—buy a map and stickers, find Figment-themed picture frames and Figment within them, add the appropriate sticker to the map, and turn the map in for a prize. 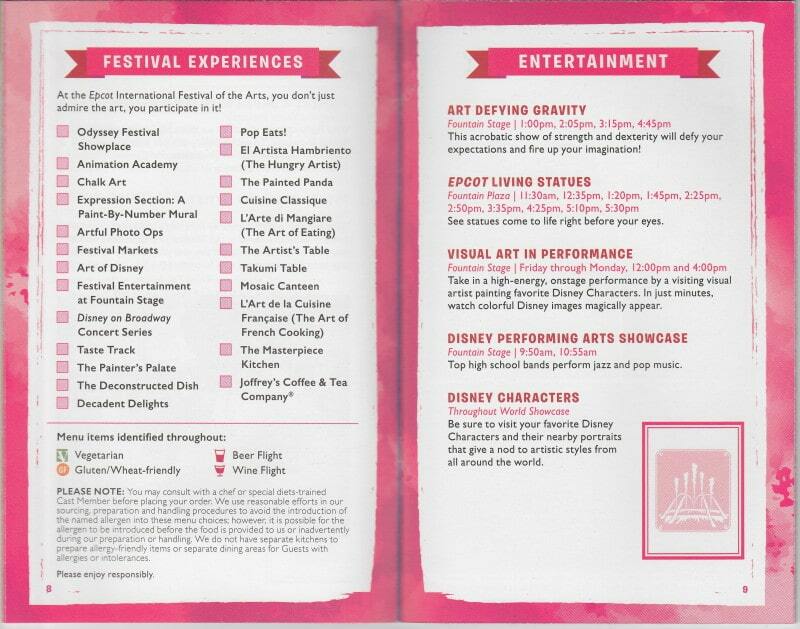 Also in the Odyssey Festival Center is The Animation Academy, an animation drawing class, where you learn to draw a Disney character under the tutelage of a real animator. 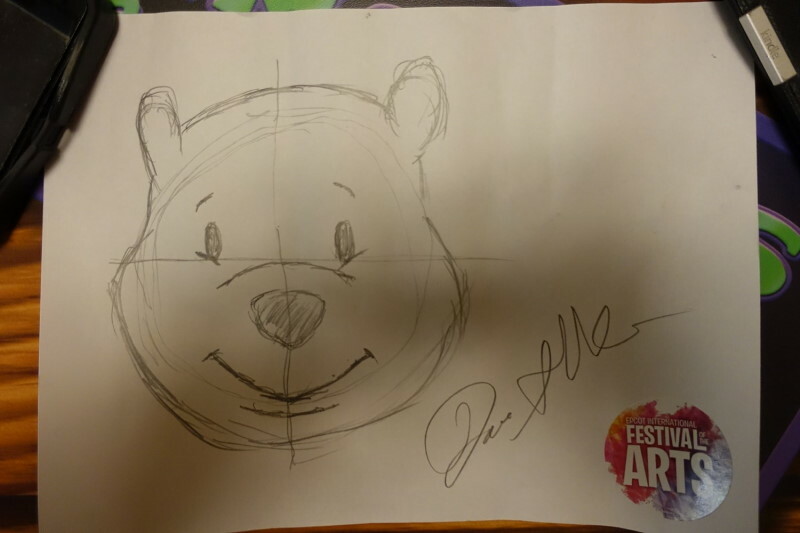 Some have reported that all will end up with a great drawing, but irl your results will vary. 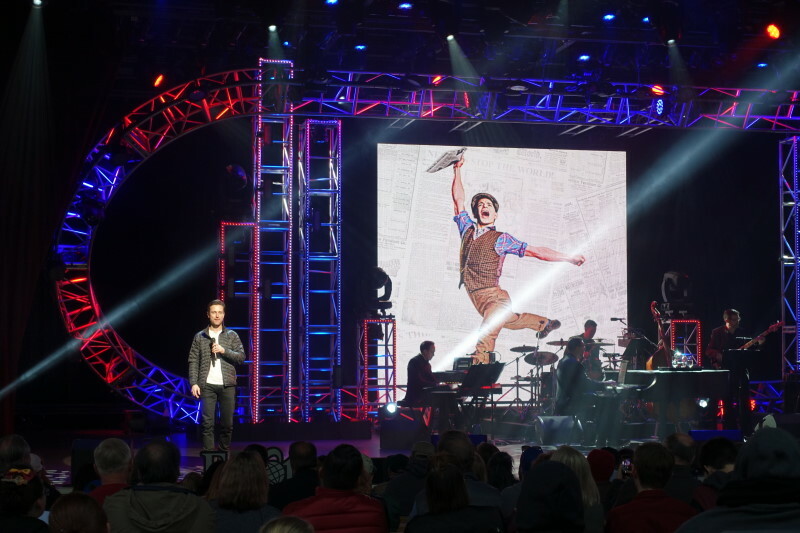 …and a more interesting set of brief Broadway concerts in the evenings at the American Gardens Theater, at 5.30, 6.45 and 8p–as of 2019, these concerts happen every night. 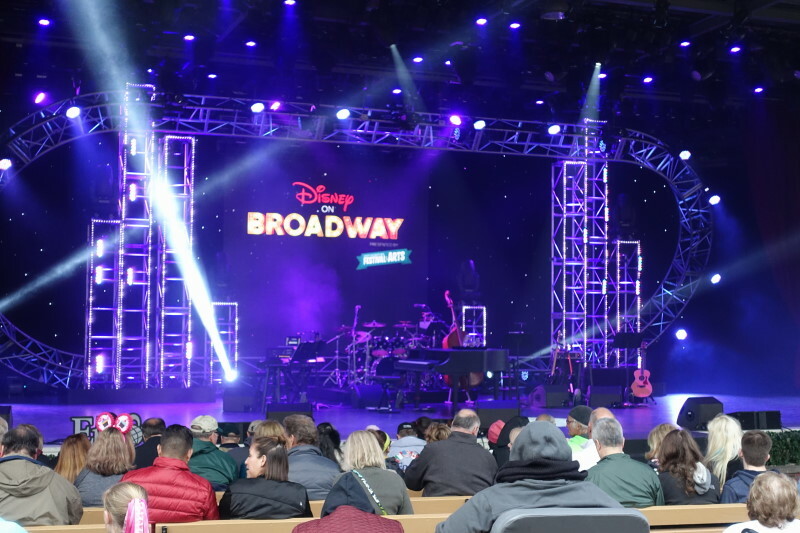 Presented by the Disney on Broadway team, the concerts showcase songs from Disney Broadway productions sung by Broadway stars. 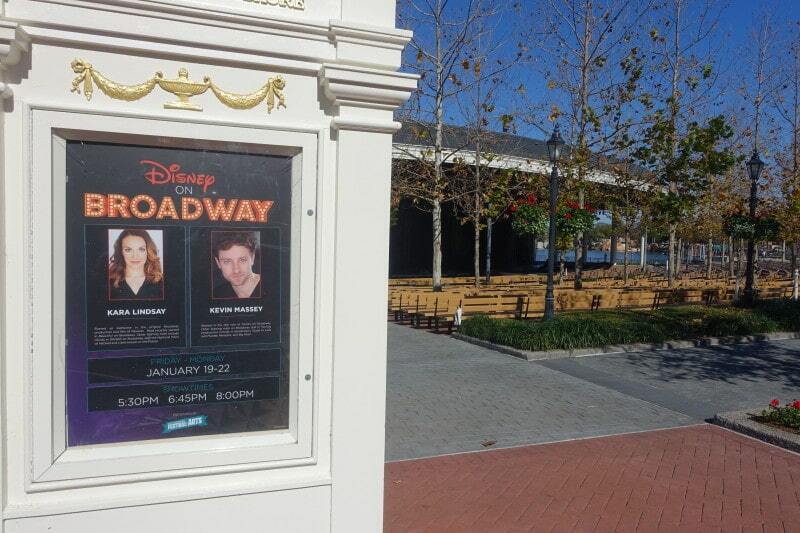 I saw in 2017 Kerry Butler (who was Belle in Beauty and the Beast) and Kevin Massey (Tarzan) singing songs from Tarzan, Beauty and the Beast, Newsies, and The Little Mermaid. 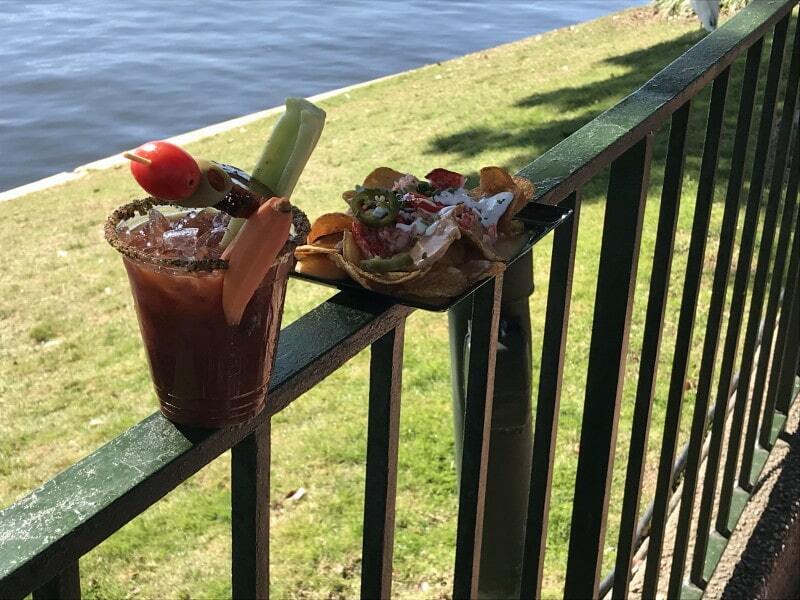 As you can probably tell, I love this Festival!